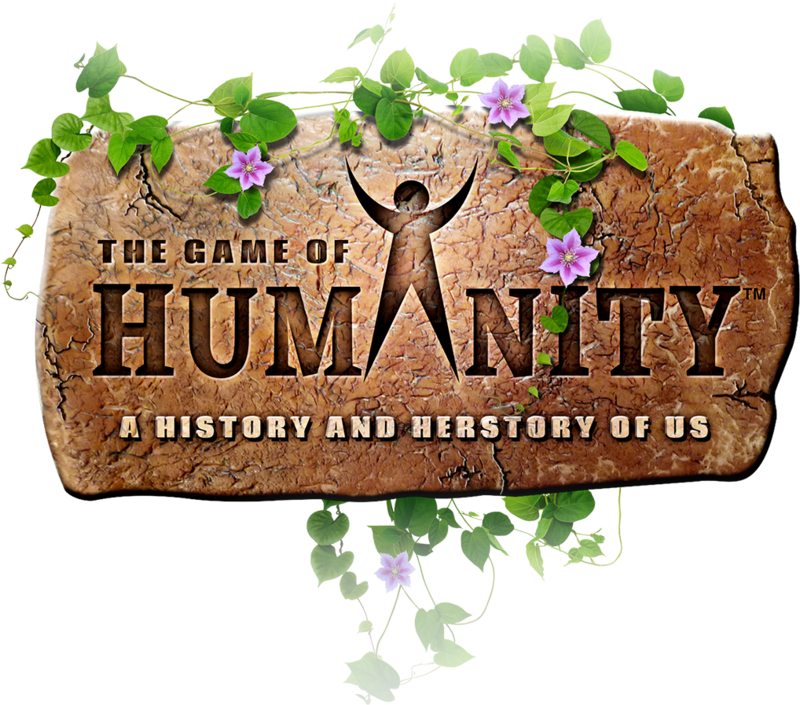 The Game of Humanity is a free online board game (HTML/browser) that traces the path of Mankind from the Beginning of Time to the here and now. It leads us down the same path as the 100 billion humans who came before us. It reminds us how we propelled our species from humble hunter-gatherers to Rulers of the Planet in 70,000 years. And it engages us in challenges that demonstrate how our fundamental Human Nature can bind us together and keep us apart. Thus, you’ll travel the path through human history as the leader of a tribe of Peeps. As you make your way toward the present, you’ll have many chances to add Peeps to your tribe. Leading your tribe is about finding the right balance of cooperation and competition with other tribes. (Try your skills in the Aid or Raid demo.) At the same time, the path is not without hazards, such as wars and disease, that can decimate your tribe in a moment if you’re not alert. Kudos to the leaders who reach the present day with diverse and large (but not too large) tribes. They’re doing their part to ensure Humanity’s continued march through Time. Students of game theory will recognize adaptations of these “social games”: Prisoner’s Dilemma, Tragedy of the Commons, Ultimatum, Dictator. These and other exercises appear in numerous “Human Nature Challenges” scattered throughout the game. They bring to light aspects of our nature that influence how we compete and cooperate with each other. And they can offer insights into how humans came to be who, what, where, and how we are today. The Game of Humanity is for one to four Homo sapiens ages 12 to 200,000.